Our hotel is located in an important historic building, erected in the XV century. The ancient history of the building is documented also by the beautiful fresco at the ground floor, representing St Joseph, Mary and baby Jesus. 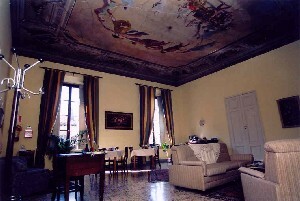 The building was enlarged in the XVIII century by Capponi family, marquises of Florence. 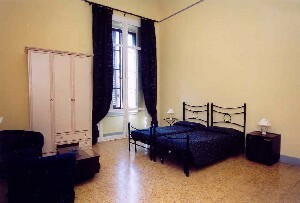 During the XIX century the building was transformed according to neo-renaissance Style. 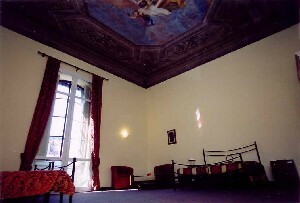 The interiors still conserve notable decorations and frescos. 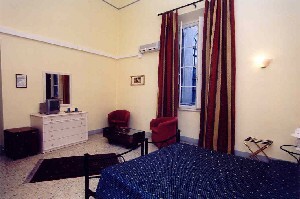 The building also gives access to the back garden (Lungarno Sederini). The parterres still conserve the original XIX century design.